Forward thinking. Creative ideas. Realization. I was born on 29 September 1978 in Moscow in the family of a serviceman of the Armed forces of the USSR; part of her childhood spent in East Germany (1981 to 1986) and in Uzbekistan (1986 and 1988), was finishing school in Moscow. Father: Lev Belevtsov (1947-2012), a musician in uniform, at different times, was chief of Song and Dance Ensemble GSVG, TurkVO, UralVO. Mother: Lyudmila Pavlovna Belevtsova [Ponomarenko] - an engineer on a specialty "Electronic Devices", all his life worked at the plant MELZ. At the age of 5 years in Germany in the German music school I started to learn to play the violin. After the withdrawal of Soviet troops from Germany, my father was sent to serve in Uzbekistan and the 2nd and 3rd classes studied at the V. Uspenskiy Special Music School in Tashkent. On my return to Moscow, I had to complete their education at the music school №13. At the same time, in high school for 3 years, I have worked in the section of free-style wrestling. Heavy physical exertion in training did not go to any comparison with studies on the violin. I want to note that, in my opinion, nothing gives such development of perception, patience and willpower, like a violin. After graduating from music school, later in 1994, I became interested in electric guitar much. In 1995, it was time to choose a profession and higher education. My friend was already a second year student of the Institute building. I had an idea to go in the footsteps of my mother - to become an engineer. Moreover, the design and construction of houses - the absolute creativity and benefit to others. And I entered the Moscow State University of Civil Engineering (IISS them. V. V. Kuibyshev). I graduated in 2000 with a degree in engineering (specialty in 2903), Department "Industrial and civil engineering", which I do not regret. Despite the fact that my grades were above average in school, but in the IISS study was not difficult for me, but very difficult. I had a lot of drafting pencil technical drawings, only a couple of people in the group possessed and used computers, and then during the last years. And what it cost to calculate the design "shell" in strength of materials?! In general, full and fair knowledge of what a "Real Material", in my opinion, can only be obtained in the university building. In the same years I learned to play the electric guitar, studied arrangement, after graduation, music programming and digital recording. I felt that music was my calling and I can bring my work more useful to ourselves and to others. And in 2001-2003, I decided to seriously pursue music. Due to the lack of access to resources of sound recording studio, because the musician needs demo record, I continued to study intensively digital recording technology. I implemented in various musical groups and projects from pop-rock to instrumental compositions. In total, I worked until 2009 with various artists and musicians. The continually worsening state of the music business because of piracy in Russia was not possible to reach a consistently professional level. Pirated CDs were everywhere, then with the passing of CDs and the development of the Internet has spread pirated MP3 and finally "killed" the professional music industry in Russia. The unstable situation did not allow any serious musician to earn money and support his family, not to mention the professional growth. Very sad. Many cool and talented musicians I have ever met in the music underground could qualitatively affect and improve the lives of people in Russia and beyond. Within the framework of the charity program, in those days, I designed and built a small recording studio for one of the Moscow University(more info). In the absence of funding, I had to make decisions in difficult situations to implement anything to ensure the musical proceedings. Sometimes had no money to pay for rehearsals. And at the last moment my partner in a band ruined my music career. Band I worked from 2002 to 2010, even self-sacrifice, but with a huge gain experience of how not to do, was closed at the final stage of production, when it was perfect. My job, as a sound producer and composer of music, was making the key decisions on the creation of a competitive product on audiovisual criteria. I picked the strongest team of musicians. One and a half hour concert program, partially presented on the website, was well-rehearsed musical band during the year, and everything was ready for live performances: sound, light, the racks are assembled, soldered cable. The project was canceled my partner - an actor who, on the basis of earlier agreements, took over producing obligations. "Producing" - sounds too loud. The reasons for the closure, according to the actor, that in the context of the musical project of his rating (actor rating) fades. I did my job too well. I did not know and was naive. At that time, it appears, it was not allowed to do the job very well and professionally! From now on, I promised myself to deal only with professionals and only work on my own resources in musical creativity. Not to minimize, and completely eliminate the risk of management in the creative team. You are a musician, you are a producer, the only way, and not otherwise! In the end, after closing the group, I decided to temporarily stop the music activity.. until better times. In the period 2008 - 2010 had the task to create a website for a music group where partner-actor had failed to fulfil its obligations. I was forced to learn urgently web design and site construction. I coped with the task throughout the year. I soon mastered the complex of measures for internal and external optimization to raise the site positions in search engine results for specific user queries (SEO Search Engine Optimization). In 2011 I developed, also in the framework of the charity program, online project to support the promotion of creative music rock bands "RuRocker | TV, Radio, Magazine". I'm sorry, at the moment the site is in restyling, updated soon open again! At the same time, I developed prototypes of camera equipment for DSLR shooting using filming in music promo videos. The prototypes can be found here. In 2013 - 2014 years I have been born different ideas online media projects, which was the creation of «BorisWEB Media Group» Media Studio product, where I still periodically developing a prototype media niche oriented products. Each product requires a minimum of 3 to 5 years "web exposure"! The concept of a business model for the development of the product is as follows: generation of ideas + domain name registration and trademark + brand development and corporate identity + technical design prototype + promotion of a product prototype in TOP10(SEO) + 3 - 5 years of stable Web exposure = exit - the new owner, a customer buys a ready online platform for conducting business online and save up to 80% on marketing. Perhaps a partnership doing business. Among the niche products prototypes: (3 в 1)social network + dating + classifieds, magazines, online TV, online shops, etc.. Business complex and long-term, but a unique and very creative. I can refuse the easy money for long-term success. The uniqueness of the Internet, in the presence of a combination of creative and technical education, allows only one person from the comfort of your home computer, generate ideas and products for a very large number of people with the prospect of global growth. But, free online services, the lack of economic feasibility and a clear business model, in my opinion, wasteful. All that can be corrected - is not an error. Major online companies make the mistake, which is not reformed and become hostages themselves. In the future, to stay afloat, because initially mistakes in marketing and brand focus they may have to pay extra to consumers for the use of free web services, but in the absence of investors! 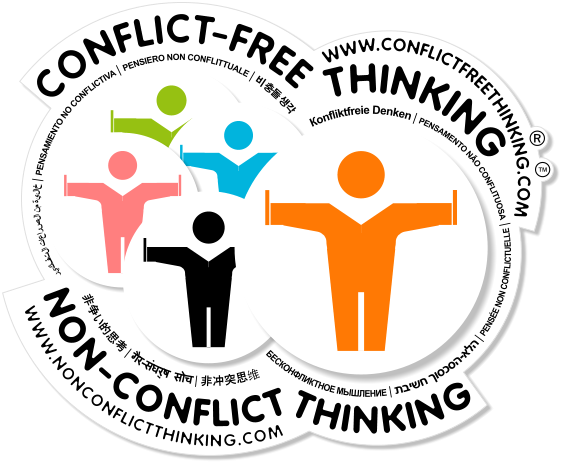 In 2015, I began work on the development and implementation of technology «Conflict-free Thinking» - A way to minimize the concatenation of circumstances the occurrence of conflicts in the relationship between people in modern communication media of the global network «Internet», based on the generation of processes of conflict-free thinking. And on the basis of this technology at the moment has developed more than 100 prototypes of niche media-oriented products, including a prototype of the global project «Union Global Communities» and a prototype for entering the international market of the parent company «One Account Products». The work continues. In the near future I intend to assemble an international team of strategic business partners, so I invite all comers. To all like-minded people - "Welcome!". Along with this, in 2015 I get economic education. I pass distance learning MBA program. I needed knowledge for the analysis of key decisions, understanding of the professional management of international companies, and thinking on the basis of a strategy of global growth. I Love What I Do & I Do What I Love. It is important in life to love what you do and do what you love with a mandatory benefit for others. It is not always possible. The basis of all problems - a job that is not a pleasure. This leads to a lack of competence of the increments and you become uncompetitive. The basic principles of my worldview. Man dominated in the domestic focus of the vision of the situation most of the time. Internal growth and development of the individual is more possible with the development of an external focus. One of the most important senses, if not the most - a sense of self-importance. To satisfy this feeling is possible only through projects of self-realization. Self-realization, which gives full satisfaction of self-importance, is only possible through external projects linked to an external focus. In simple words, with your hands on your own resources do something useful for others. Intellectual growth promotes inner growth and self-development. Such a person has an interesting life and is rarely difficult in life. By the way spiritual growth is possible only when there is intellectual growth! The Creator created the Creature in his own image and likeness. If the Creature begins to create, it becomes the Creator. Create and be Gods!..) You will help the Creator to resolve outstanding questions! You can not be weak! A weak person is able to make a vile and sneaky person is able to make treachery. Your real friends - only the strong! Every person has the intention to achieve a visible target right now, but in life no one does not go in a straight line! In life there is much talk and little to do, little to say and a lot to do, but if it's not the desired effect, then there is no nothing. Money is a tool. It is necessary to dig a hole - you need a shovel. No need to dribble - give others a shovel right now. Professional people going to the goal, making 1000 small improvements, and not a professional people seek the result, but not goal, making only a couple of dozen. The most expensive item of luxury in human life - his desire. The way a person acts with others, sooner or later, just as well a person acts with you. A woman can be beautiful if she is smart! How to define smart or not? a smart person good eyes, such a person more tolerant to others. The same applies to men. Men over the age of 14 years does not happen. And if someone is 12 - that is a real problem! Everything that I have had to deal with in my life. I learned to play the Volin for 10 years. At the age of 5 years in Germany, I was learning to play the violin in the German music school. 2nd and 3rd classes in Uzbekistan in Tashkent, studied at the special music school. V. Uspensky. When I returned to Moscow, I graduated from music school №13. In 1994 at the age of 15, I became fascinated with electric guitar and rock music. Experience playing the guitar I have more than 15 years. Time to get Higher Education. It's time to choose a profession and higher education. In 1995 I entered the Moscow State University of Civil Engineering (IISS them. V. V. Kuibyshev). And I graduated in 2000, majoring in civil engineer (specialty 2903), faculty "Industrial and civil construction". Generally a full and fair knowledge about what is "Real Matter" in my opinion can only be obtained in construction higher education. Devote myself to Music and Creativity. In 2001-2003, I made the final decision to devote myself to music. I felt that in the works I can bring their work more useful to themselves and others. Due to the lack of access to resources of sound recording I continued to learn digital recording technology. I love to work on the songs. I love music and work on it. I have accumulated a lot of unreleased musical material, a small part of which is presented in fragments on the website. 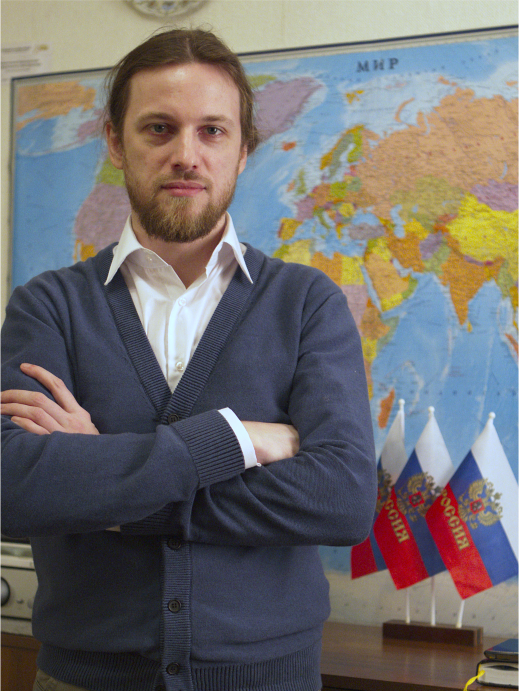 I'm sure all my music will issue when finally improve the situation with anti-piracy in Russia. I designed and built a small recording studio for one of the Moscow University. View more.. Built up an online space. In 2008-2010, I was forced to develop urgently a Web design and construction site. It was necessary at the time to create a website for the band. Now I understand that the Internet - a unique space where only one person can generate a global product or service for a very large number of people. I mastered a set of measures for internal and external optimization for raising the position of the site in search engine results for a particular search (SEO Search Engine Optimization).